I have been in the work force for over 30 years. In this time I have gained extensive experience working in government as well as the private sector. I have either been accepted into or worked for the following departments: Australian Federal Police, Queensland Police, Department Immigration & Border Protection, Australian Customs, Queensland Corrections and Centrelink. My international employment experience includes working for the United Nations as a Security Advisor in Liberia and Sudan. 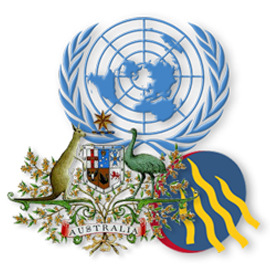 I have also worked for international security groups as an Security Manager and Case Manager in Papua New Guinea. Whilst at the UN I was invited to sit in on recruitment interviews for international staff. I was also invited to sit on the recruitment interview panels whilst working with the Australian Public Service. I have spent years studying what employers are looking for and then learning how to present the best interview. What I have learned from my years of experience in attending interviews is that there is no particular qualification or experience that employers look for essentially. The common factor that unites all employers is the quest for people who are going to fit the job. It has also been my experience that the most qualified and experienced person doesn’t always get the job. The person who can deliver the best sales pitch does. I have been sharing my knowledge for over ten years and assisting clients to achieve the same success. I look forward to working with you to achieve your goals. Preparation is essential to delivering a well structured and formatted interview. Its important to identity potential questions and prepare an informative responses.